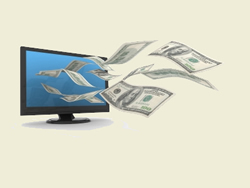 What is the Brand of Structured Settlement Factoring - Cash Now? Brand?.......Can an industry have a brand? This author believes that the structured settlement factoring industry has been branded by "orientation branding" from some of the larger factoring companies in the industry. The "cash now" brand is not one that Settlement Quotes would like to be associated with. This term is not only improper, but is false advertising when used in relation with structured settlement factoring. Most recently a new controversy was sparked from an advertisement by Novation Capital which was titled Structured Settlements- Get You Money Today. The term "cash now" is meant to represent that the recipient of the structured settlement payments will receive their money within the next few months compared to receiving their money years from now. With both of these scenarios there is the intent of "cash now," in the "present" form. Lets start with the first argument that cash now is suppose to mean "sooner rather than later." Lets first define the term "now"
After reading these two definitions, this author can confirm that the advertising and branding of the structured settlement factoring industry's "cash now" symbol does not serve the consumer. "With no time intervening," clearly means that the 6- 8 weeks that a factoring transaction takes to complete, does not represent "now." The only other way to receive cash now for future structured settlement payments is to take a 40% excise tax penalty along with the discounted lump sum. I cannot imagine anyone in their right mind who would agree to those terms. This author believes that if a company wants to use the words "cash now" in any type of structured settlement factoring advertisement, a side note should be added so consumers are aware that the only way to get "cash now" is to take a 40% excise tax penalty accompanied with their discounted lump sum of cash.